You’ve waited all of your life to become a Jedi Master. Ever since you laid eyes upon A New Hope, you knew you were destined for greatness. Sure, the world may have thought that you were a little bit crazy for wanting to become a Jedi Knight, but search your feelings. You know that there’s nothing you’d rather be than a Jedi! You’ve use the flashlight from the tool cabinet to practice your lightsaber skills. You’ve practiced the Jedi Mind Trick on your friends and family to… varying degrees of effectiveness. You’ve even practiced some of Obi-Wan’s famous lines from the Star Wars films. We think that it’s time for you to finally make your dream come true. 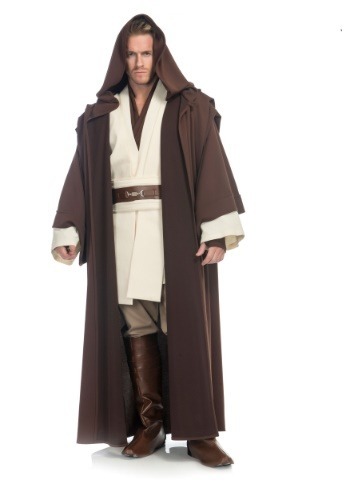 It’s time to don the robes of a true Jedi Master and not just any Master, but the one and only Obi-Wan Kenobi. Yes, you will be assuming the role of Obi-Wan Kenobi, the heroic character from both the original trilogy and the prequel trilogy. With this high quality costume, it’s quite easy. 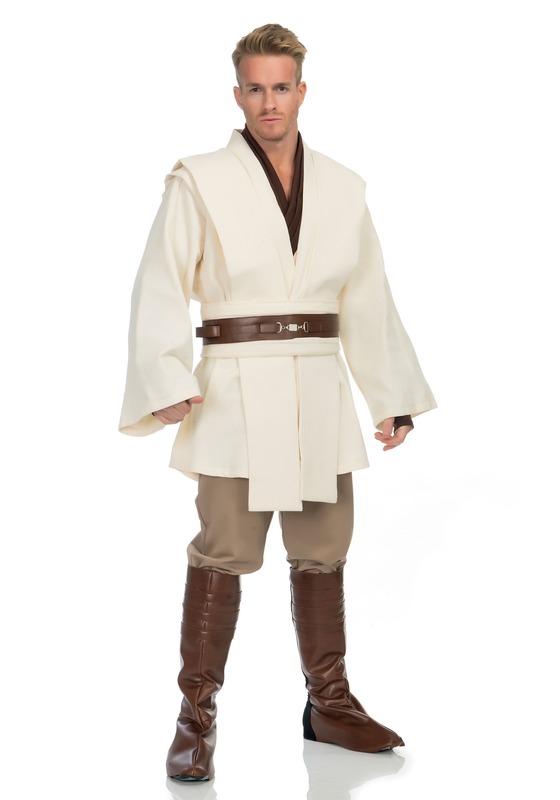 It comes with everything you’ll need to transform into the iconic Tatooine hermit, including the white tunic, pants, boot covers, faux leather belt and, of course, the dark brown Jedi robes. Once you have it on, you can almost feel the presence of the Force surging through you! You may even feel the urge to train young Padawans with the last name of Skywalker to become the savior of the galaxy. So, you’d better start working on that Ewan McGregor charm. You’d better be mastering that classic Alec Guinness swagger! You must delve into the mind of the Jedi.